Harrow’s research into new vehicles to take healthcare to the community for Smart Pods (EPSRC, 2007-10) identified multiple problems in patient transport, including hygiene, diagnostics, stock control, technology integration and usability. 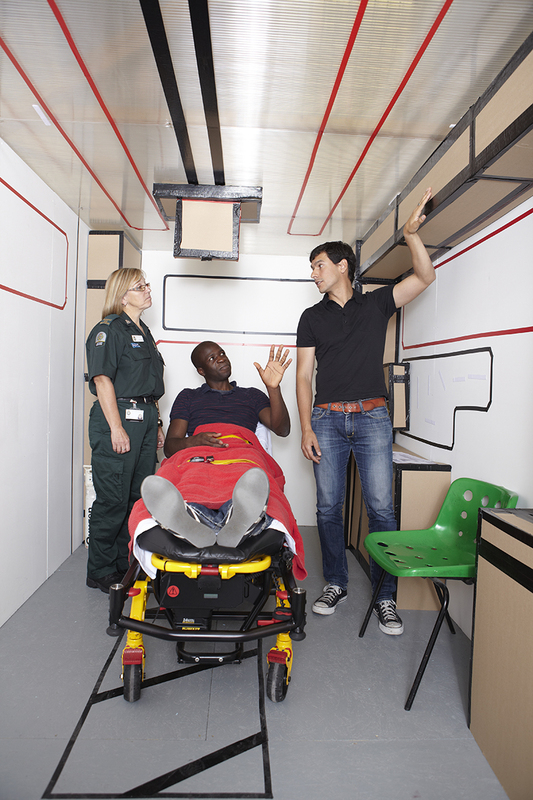 This led to research into a fundamental redesign of the ambulance interior including a full-scale prototype, with support from NHS London and the Helen Hamlyn Trust. Harrow’s distinctive contribution as design director was to synthesise the Smart Pods study into an actionable design brief and introduce the design methods, manufacturing techniques and visual language of the automotive sector in a specific healthcare context. 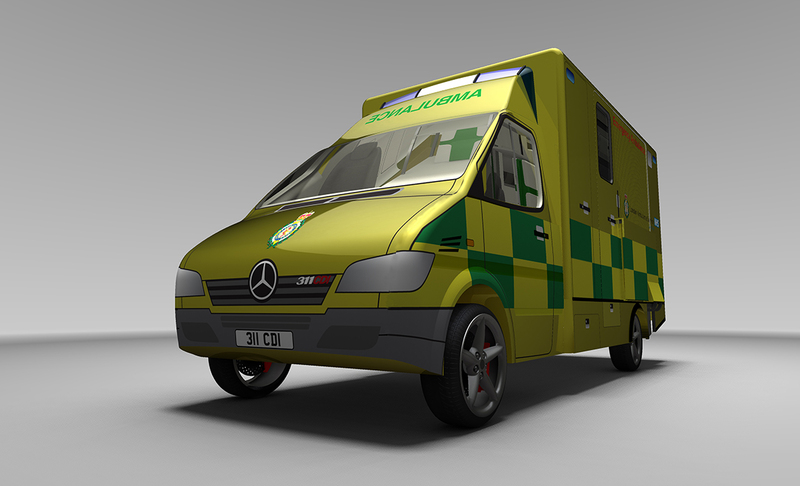 The ambulance redesign built on Harrow’s previous work such as the redesign of the London taxicab, optimising accessibility, safety and ease of manufacture, and extended earlier research (Coleman et al. 2007; Hignett, Harrow et al. 2007). Harrow directed the systems overview on the project, within which a completely new vehicle was designed. This involved leading a complex design process with multiple contributors, supervising Matthews (RCA), Fusari (RCA) and others, and deploying a combination of research methods. Current ambulances are designed piecemeal and almost hand-built. Harrow’s approach introduced automotive processes, including standardisation, modularity and unified mouldings. 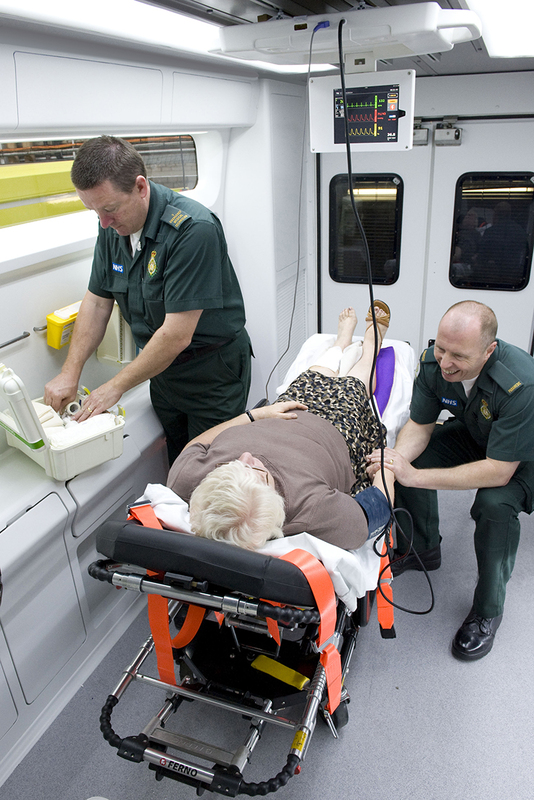 Benefits include improved patient safety, hygiene, efficiency, economy and working conditions. Smart Pods had demonstrated that the optimal location for the patient is the centre, whereas traditional practice places them at one side. 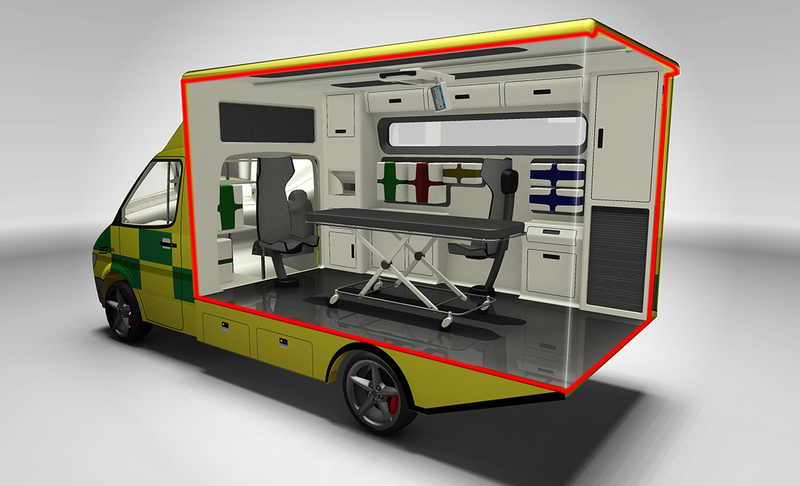 The ambulance redesign won the Design Museum 2012 Transportation Design Award, the IDSA Silver Award for Research 2012 and Design for All Foundation 2013. It was featured across media including BBC World Health (2011), BBC London News (2012) and BBC2 Culture Show (2012). Publications include Harrow and Coleman in Proceedings, ‘Improving Patient Safety’ (2008); Thompson and Harrow in Proc. ‘Include 2009’ (2009); Harrow et al., Healthcare on the Move (2009); Journal of Medical Devices 7(3), 2013.